•ShipGuard Bag size, High-Quality Material: These small zipper poly bag size- 1.5″x2″, 2″x2″, 2″x3″, 3″x3″, 3″x4″, 3″x5″, below the zipper. The poly zip bags are made of polyethylene material, food grade safe; Dual-side thickness and durable enough to protect your item. The thickness of these Resealable Zipper Poly Bags is strengthened. They are tight and not easily torn or break, and reusable after washing. •Resealable Bags with ZIPLOCK: Easy to close and open, using this small zipper poly bags to store the item, perfect for preparing medications or supplements for traveling. These bags are 2 Mil regular duty suited for shipping, packaging, and storage. Bags are re-useable; sealing is simple and easy with the single track zip closure strip. Organize and protect your items parts various sizes or for individual pieces. 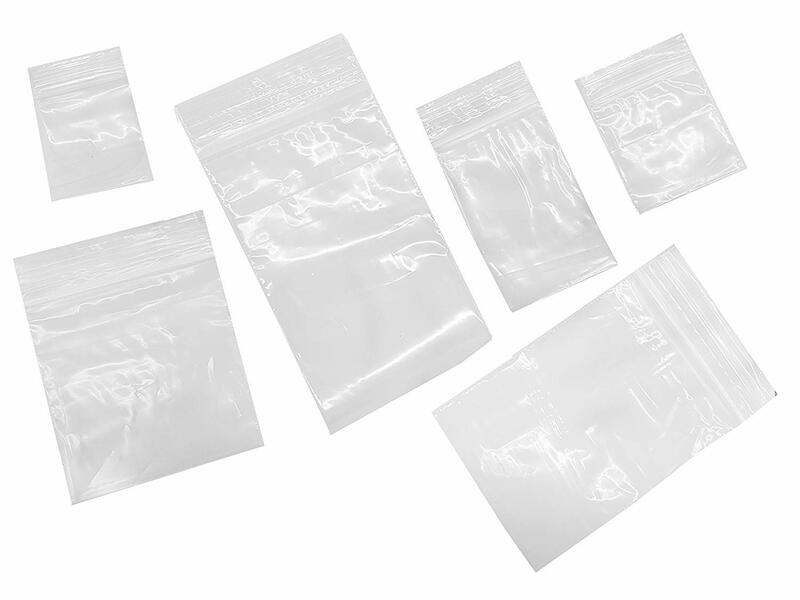 An assortment of Zip Locking – Sealing Clear Bags, all Clear and 2mil thick. •Enough Quantity & Place of Multiple uses: These small zipper poly bags are a total of 500 pieces, includes two sizes: 2 x3 inches and Mix, each size 100 pieces, enough quantities to meet your needs. ShipGuard Zipper poly bag is most commonly used in markets, shops, cafes, takeaways, restaurants, and other retail stores. Bags are suitable for carrying items.